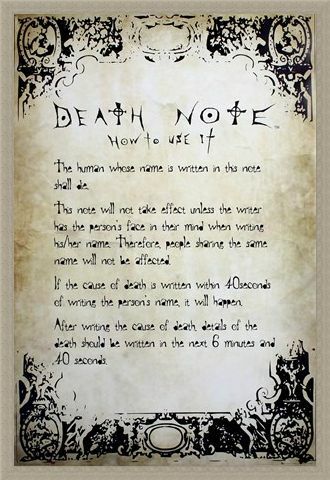 Anime Television Maxi Poster: If you should ever run into a Shinigami and you are provided with a Death Note, you must at least know how to use it! 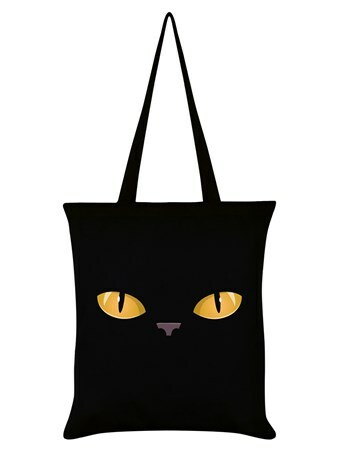 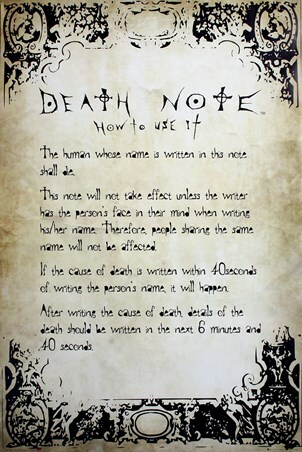 This vintage looking maxi poster with dark gothic detailing is inspired by the hit Japanese series 'Death Note.' 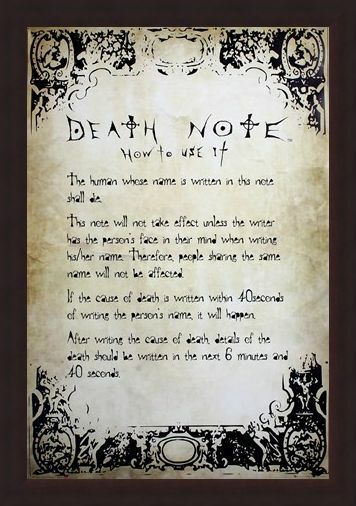 Created by Tsugumi Ohba, this mysterious and menacing plot consists of a boy called Light, who believes he is creating the 'New World' and a Death God, Ryuk who is simply playing with Light out of boredom. 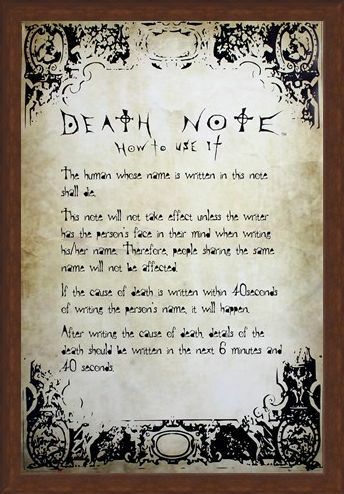 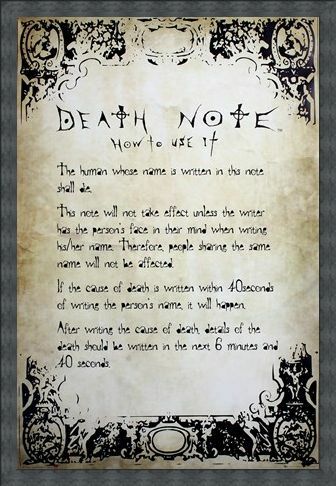 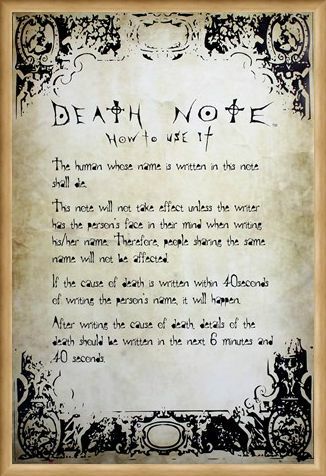 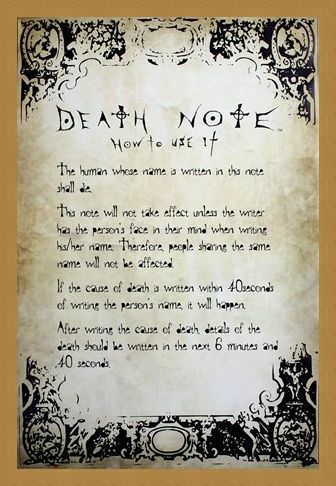 If you are a fan of this fantasy series and wish to know how to use a Death Note if required, this is a must have! 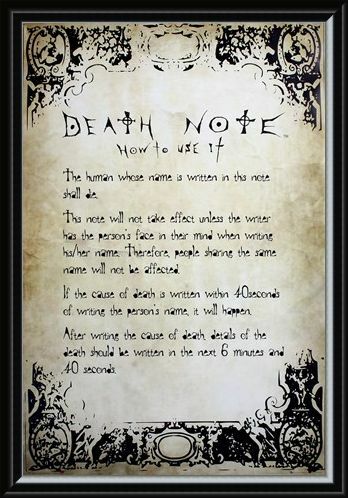 High quality, framed Play By The Rules, Death Note poster with a bespoke frame by our custom framing service.